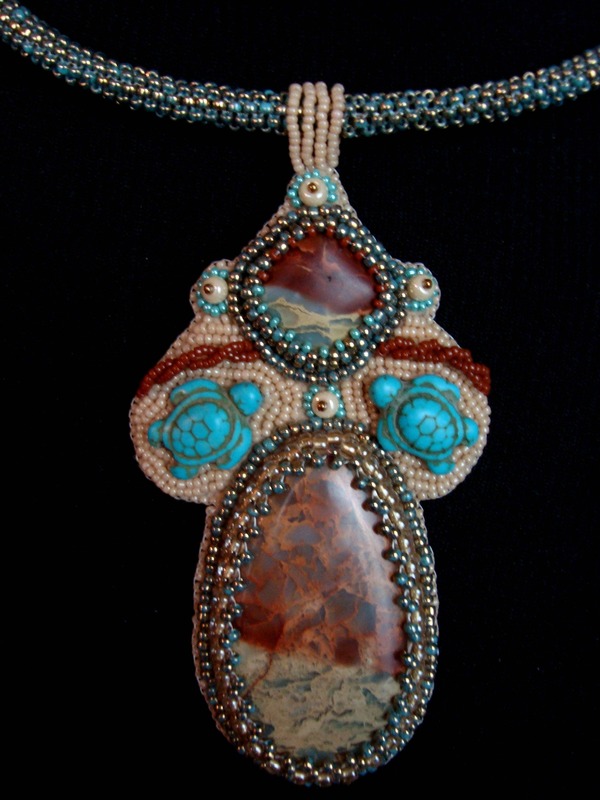 This beautiful necklace features two lovely Turquoise and Red Lace Agate. The stone has been bezeled in quality Japanese seed beads and backed with Ultra Suede for comfort. A couple of turquoise sea turtle have hitched a ride to give this piece a beachy look. 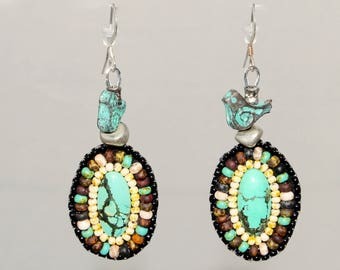 The pendant hangs from a hand beaded tube of Gilded Turquoise seed beads supported with a wire inside the tube. The necklace is a total of 18 1/2" including a beautiful gold toggle clasp and gold bead caps.